Once consigned to the bargain bin of wine shops, Virginia wines now hold their own in global wine competitions, and the Williamsburg Winery, a few miles from the Colonial District (5800 Wessex Hundred Road; http://www.williamsburgwinery.com/), is one of the largest in the state. Its chardonnays — particularly the fruity, oaky Acte 12 chardonnay — have won much acclaim from critics. On a spring afternoon, attend a tasting ($8 and $30) and then head over to the adjacent tavern for a light snack. Jewell Towne Vineyards of South Hampton won "Best New Hampshire Wine" at the 2009 Big E Northeast Gold Wine Competition. New Hampshire's oldest and most awarded winery entered 12 wines, and each was awarded a medal, with an additional award for the Best Wine of New Hampshire granted to their estate grown 2008 Aurore Private Reserve. Jewell Towne deals exclusively with grape wines, specializing in eastern hybrid varietals. 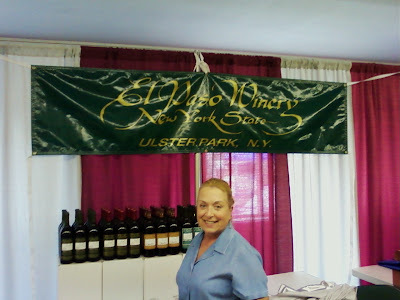 In 2009, The Big E Northeast Gold wine competition remained regional. It continued to be available to all vinifera, hybrid and native grape wines, meads, fruit wines and fortified wines produced in wineries located in New England and New York. The Connecticut Wine Festival will celebrate the bounty and diversity of Connecticut wines at the Goshen Fairgrounds in Goshen, CT. Support Connecticut agriculture by sampling fine local wines and delectable specialty foods. Peruse fine arts and crafts while relaxing to the sounds of various local musicians. This year’s festival offers the rare opportunity to purchase bottles and cases of wine directly from the wineries at the festival.Festival Hours are Saturday, August 1st from 12pm-7pm and Sunday, August 2nd from 12pm-6pm. The Goshen Fairgrounds are located approximately ½ mile south of Goshen center on Route 63. Admission includes a commemorative festival wine glass and tote bag, 20 wine tasting tickets, specialty food samples, entertainment and the opportunity to purchase bottles/cases of wine and artisan crafts. Additional tasting tickets are available for purchase at the festival. 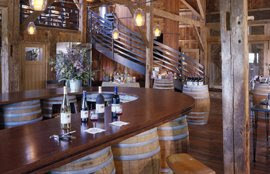 Connecticut farm wineries occupy more than 1500 acres of open space in the state offering award-winning artisan wines. Connecticut grapes are cultivated from first bud through fermentation and wines are blended in small batches to produce extraordinary wines. Connecticut wines range from dry, barrel fermented Chardonnays, Cabernet Francs, Dry Rieslings and Seyval Blanc, to fruitier, sweeter whites, reds and late harvest Vidals, Vignoles and fruit wines. Embassies will celebrate the Fourth with taste of R.I.
They’ll be raising glasses of Rhode Island wine at the U.S. Embassies in the Ukraine and on Barbados for their July 4th festivities. Every year, U.S. embassies around the world celebrate the Fourth with All-American cookouts and parties with local leaders in government, business, civil society and culture. 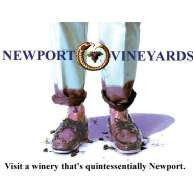 This year Newport Vineyards of Middletown has supplied the wines for two celebrations, said John Nunes, vintner and co-owner of the winery with his brother Paul, vineyard manager. At the embassy in Kiev, the winery’s Sauvignon Blanc and Rochambeau Red will be served to some 1,600 guests who will dine on grilled salmon on cedar planks with an orange and avocado salsa. Barbecue beef and pork will also be served with rice salad. For dessert, guests will dive into red, white and blue parfaits with strawberries, blueberries and whipped cream. Nunes said Embassy officials liked the historical name of the Rochambeau Red, a blend named after the French general who landed in Newport with 2,000 troops during the Revolutionary War. In Barbados, a colonial- themed event is to be held at Las Cibeles, the Ambassador’s residence in St. James. Pinot Gris, Riesling, Great White and Merlot from Newport Vineyards will be served with barbecue and New England seafood. No word on the number of guests from Barbados and the Eastern Caribbean. GRAND ISLE, Vt. — A fierce hailstorm wiped out Bob and Linda Livingstone’s grape vines two years ago, forcing a time-consuming rebirth of East Shore Vineyard. In addition to equipping their vineyard with netting to guard the vines, the couple plan to expand — much like the Vermont wine industry itself. Hailstorms are just one of the challenges that face Vermont’s increasing number of vineyards. Frigid winter temperatures and a skepticism of whether decent grapes can grow in the state are other hurdles. Both are beginning to be overcome. Persistent farming and cold-hardy grape varieties developed by the University of Minnesota are making wine production in Vermont feasible. Last year, grapes made up about 15 percent of the roughly 108,000 gallons of wine produced in Vermont, said Steven Justis, a senior agricultural development specialist at the Vermont Agency of Agriculture, Food and Markets. That’s up from no more than 2 percent a decade ago. Most of Vermont wines come from apples, but also from blueberry and rhubarb. “We think the grape industry is going to increase very quickly over the next 10 or 20 years,” Justis said of Vermont’s growing number of vineyards, pointing to the boost from the Minnesota grape varieties . The Livingstones started selling grapes wholesale in 2002. Five years later, they decided to make their own wine. Then came the high winds and nickel-sized hail. The storm wiped them out. “We went from selling grapes to buying grapes within a 20-minute period,” Bob Livingstone said. This year will mark the first time the majority of East Shore’s wines will come from grapes harvested from the Grand Isle vineyard. The Livingstones’ property is a few miles northeast of Snow Farm Vineyard and Winery in South Hero, which has been growing grapes longer than any Vermont vineyard. (Fruit wines have been made since 1985 in Jacksonville in Windham County, the first licensed vineyard in the state since Prohibition). “I think people are past the skepticism,” Harrison Lebowitz, CEO of Snow Farm, said of the perception of winemaking in Vermont. Lebowitz said he planted the vineyard in 1996 to help find a way for Vermont farmers to keep their land in agricultural use. He found his 14-acre plot had a “micro-climate” that was similar to Burgundy, France, a rarity for Vermont. Lebowitz grows French hybrids, European grape varieties, and some of the cold-hardy University of Minnesota strains. He uses the Minnesota varieties for blending, however, saying “more research needs to be done” before will he will use them more broadly. Lebowitz makes 15 to 16 kinds of wines with eight varieties of grapes, he said in early June, taking a break from bottling Rieslings. While his vineyard was growing during the first few years, he purchased all of his grapes from the Finger Lakes region in New York, a common practice for Vermont wineries. Now, 95 percent of the grapes used — enough for about 33,000 bottles — come from his Vermont farm. 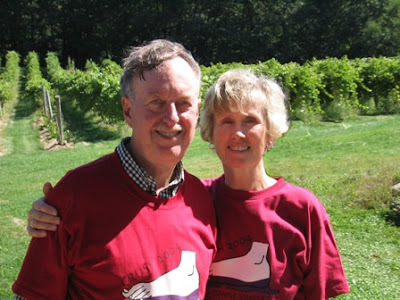 Terry Sullivan, a retired educator and current wine enthusiast is an owner, writer, photographer and designer for Wine Trail Traveler: a winery and vineyard virtual visitor center. He looks forward to relating his wine travels. He writes for the Balitomore Examiner.com and has an excellent Maryland Wineries website....here's a recent article. Lots of good stuff! At times traveling Interstate 95 north of Baltimore in Maryland can be a breeze, at other times it can be torture especially on hot summer days when the traffic just doesn’t seem to move. For me the breeze usually comes before 5:00 am. At one of those not so pleasant times, consider that five wineries within 30 minutes of the interstate can transpose you from hectic to serene. Mount Felix winery is only one minute from exit 89 (see map). This 53-mile stretch of the Interstate from Baltimore to the Delaware line can hardly be termed wine country, but it has a start. Closest to Baltimore is Boordy Vineyards in Hydes. Boordy is one of the oldest and largest Maryland wineries. The drive to Boordy is pleasant and takes you along winding country roads. Boordy is on a restful spot of land in the countryside. The tasting room was built in an 1830’s bank barn. Boordy produces three lines of wines and will certainly have wines that you will enjoy. If Boordy is one of the oldest vineyards in the state, Legends Vineyard is one of the newest. Legends is located in the small town of Churchville and the tasting room opened in September of 2008. The vineyard was planted in the spring of 2008. Close to Legends in Havre de Grace is another new winery, Mount Felix. Located a minute from I-95, Mt. 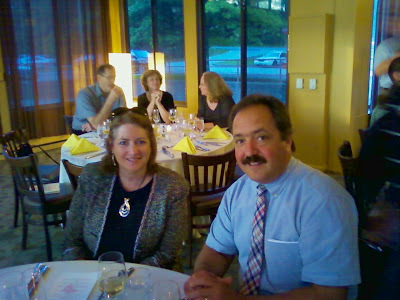 Felix produces several wines many with names that have historical significance to Havre de Grace and even American viticulture. The location of the tasting room is in a restored water house next to Mount Felix Manor that was built in the 1800’s. At one time the water house was used to pump water to the manor. In addition to tasting the wines in the tasting room, you will receive a gentle history lesson about important events and people from the area. You will learn about John Adlum and how he became the father of American viticulture. Ask about the story associated with the wine Matilda’s Devotion. It is very inspirational especially near Father’s Day. After crossing the long Tydings Memorial Bridge with panoramic views of the river and countryside, you can take exit 93 and make you way to Dove Valley Vineyards in Rising Sun. The vineyards were planted in 1998 and the large log building houses the tasting room that opened in 2007. There is plenty of room to spread out and tables and sofas are available for tasting the wines. The owner, Harry Hepbron , decided to develop a vineyard and tasting room as a legacy for his children and grandchildren. Just before Delaware in Elkton, Maryland is Terrapin Station Winery. The first vines were planted in 2003 and at the time of my visit had picture perfect clusters of St. Vincent and Vidal. Currently the tasting room is under construction and should be open later in 2009. You can read reviews of many of these wineries on the Wine Trail Traveler website. The symbol displayed prominently throughout the property and incorporated into the logo of Cellardoor Vineyard in Lincolnville features two outward-facing half-circles split by a vertical line, and connected by a horizontal one. According to historical lore, hobos would carve this symbol into abandoned spaces during the 1930s to indicate that the space was safe and welcoming. When she spotted that symbol carved into an old barn door on the vineyard property, Cellardoor owner and operator Bettina Doulton did a little research and discovered its history. The sentiment behind the secret code was just the kind of thing she wanted to impress upon her guests. The Wall Street Journal is telling you to go forth and drink wine this Fourth of July - on the east coast! The article features numerous wineries from around the US, most Califfornia and the east coast! They advise a trip to the Brandywine Valley Wine Trail and Biltmore Estate Winery in South Carolina. NEW YORK GOLD was mined at the Los Angeles International Wine & Spirits Competition, where Chateau LaFayette Reneau led the charge and Riesling was the star. CLR got two Best of Class/Gold awards for its 2008 Dry Riesling and 2008 Late Harvest Riesling, along with another Gold medal for the 2008 Semi-Dry Riesling. Other Gold medals went to Chateau Frank 2002 Blanc de Blanc and 2002 Brut (each of which have also won Gold in several other recent competitions), Dr. Frank 2008 Dry Riesling, Goose Watch 2008 Diamond and Brut Rosé, Penguin Bay 2008 Riesling and 2007 Gewurztraminer, Sherwood House 2004 Blanc de Blancs, Swedish Hill 2007 Marechal Foch, Spumante Blush, and Country Concord, Wagner Vineyards 2007 Semi-Dry Riesling, and Waters Crest 2007 Late Harvest Night Watch (which also won Best of Class in the Limited Production category, and recently got a Platinum in the Critics Choice awards as well). The event is run by by Dr. Bob Small (who makes Dr. Bob’s Ice Cream and judges at our competition), Mary Ellen Cole, and Margie Jones. The LA competition is a mammoth undertaking with nearly 4,000 wines and about 80 judges swirling, sniffing, sipping and spitting for three days. NEW YORK STATE FAIR COMPETITION results were also released last week, with the Belhurst 2008 Semi-Dry Riesling taking Best of Show Honors, joined by Best of Category winners Montezuma Cranberry Bog (fruit wines), Peconic Bay 2005 Merlot, Anthony Road 2008 Dry Rosé of Cabernet Franc, Chateau Frank 2002 Blanc de Blanc, Earle Estate Raspberry Reflections, Goose Watch 2007 Finale White Port, Montezuma Rhubarb, and Ventosa 2007 Tocaice (ice wine). Additional Double Gold medals went to Belhurst 2008 Dry Riesling, Chateau Frank 2002 Blanc de Noirs and Celebre Rosé, Hazlitt 2008 Gewurztraminer, Lamoreaux Landing 2008 Semi-Dry Riesling, and Lucas 2007 Chardonnay. Full results are available at www.nysfair.org/competitions. The New York Wine & Food Classic, our annual event involving about 800 New York wines, will take place on August 16-18 in Watkins Glen, with an all-star cast of judges. James Molesworth Calls Lake Seneca "High Rent District"
HERMANN J. WIEMER VINEYARD and RED TAIL RIDGE both got nice plugs this week from James Molesworth of The Wine Spectator, who describes Seneca Lake as “The High-Rent District” of the Finger Lakes region. The blog post traces the evolution of the Wiemer operation—now run by longtime winemaker Fred Wermarth—and the differences in its three vineyards relative to how their individual characteristics influence the taste of the wines—terroir at its best. 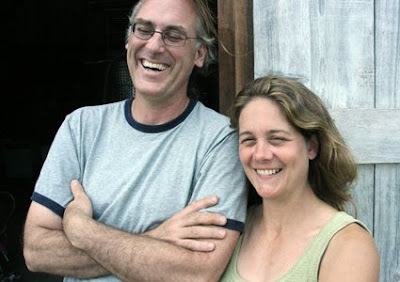 The profile of Red Tail Ridge focuses on the unique experience of husband-wife team Mike Schnelle and Nancy Irelan, their decision to come east from California to lay down roots, so to speak, and the green-ness of their new tasting room that will open this summer. Nancy has a ph.D. in vine genetics from the University of California at Davis , along with high-level research experience at Gallo, and is deeply involved in industry-wide research efforts like the National Grape and Wine Initiative. In 1998 Maryl Vogel and her husband purchased the El Paso winery that was founded 21 years before by Felipe Beltra, an "old-world" Spanish winemaker from Uruguay, SA. He purchased the land and the old barn of a 125 year old farmstead and planted his grapes. He then went about converting the barn into his "tasting room". Today, she still blends his sweet wine recipes from long ago and has expanded their selection of fine New York wines to include wonderful dry reds -- Cabernet Sauvignon, Merlot, Syrah, Pinot Noir. And wonderful whites, like two Rieslings and Chardonnay. 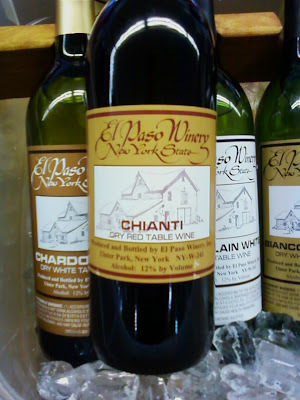 The three I liked best were the Just Plain White, the Chianti, and the Dusty Barn. 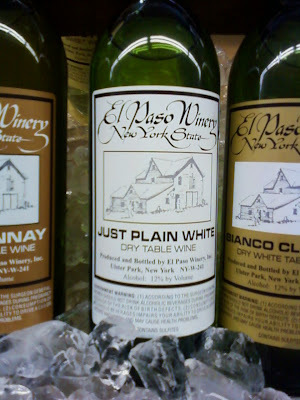 The Just Plain White is a lovely Chenin Blanc blend. Dry, light, crisp. Very nice! The Chianti was a lovely surprise. A medium-bodied red with ripe cherries, and a nice smooth finnish. But my favorite was the Dusty Barn. A medium, ruby colored spicy red blend of Syrah and Cabernet Sauvignon. Very nice! Maryl is such a nice lady. 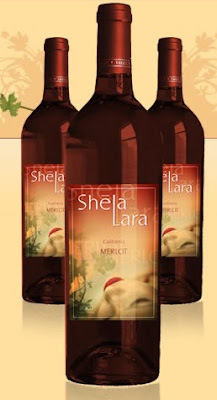 You have to find her tasting room in the Hudson Valley and you have to try her wines! Dr. Kevin Atticks is the executive director of the Maryland Wineries Association, the industry trade group representing Maryland’s wineries. He is a regular contributor to the Maryland Beverage Journal, Daily Record and was the wine editor of The Grapevine magazine. Atticks was the founding host of Word on Wine – a weekly show that explores the history and culture of wine WBJC-FM in Baltimore. 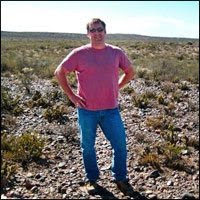 Atticks has been writing about wine since 1997 when he took interest in wineries in Colorado. After traversing that state and all of its wineries, Kevin returned to his home state of Maryland to publish a tour guide to the local wineries, titled “Discovering Maryland Wineries,” the first of its kind in the state. He has been a member of the Communication faculty at Loyola College since 1999, where he teaches public relations and publication design. What is the biggest challenge facing wine in your state today? The biggest challenges our wineries face are the post-prohibition restrictions still in law. Many don’t make any sense, or contradict traditional winery operations. Secondly, we have five different growing regions throughout the state and it’s taken our industry decades to sort out which grapes grow best in each. Now, we’re finally seeing that the southern part of our state is more of a Italian/southern Mediterranean growing style, and we’ve got a region that can handle the Bordeaux varieties and so on. What is the difference between wine in your region from ten years ago to today? There’s a lot more of it! And there’s more expertise in the region than there was tens years ago so new wineries are opening their doors with high quality wine and great marketing. Where do you think wine in your region will be 10 years from now? We’ll have 60-80 wineries in the state and we’ll have made a reputation for certain grapes in each of our five distinct growing regions. Ten years ago Chardonnay, Cabernet Sauvignon, Vidal and Chambourcin were planted everywhere…and they may not have been the best grapes for some of our regions. Now we’ve got superb Sauvignon Blanc, Albariño, Malbec, Barbera, etc. What’s the trend in wine in your region that has surprised you the most in the last 2-5 years? The diversity of grapes that we can grow well. You would never have thought that Maryland was a Gruner state, or an Albariño state, but we can grow the heck out of them. Is there a new trend you expect to see in the next 2-3 years? I think the biggest thing we see on the horizon is the creation of appellations (AVAs) in the state …finding the outer perimeters of what grows where, and marketing the differences. We’re primed for appellations. Do you find liquor stores and wine shops have been a good partner for your state grown wines? They are becoming good partners. We have a lot of work to do to encourage Marylanders to go to the stores and buy our wines. Retailers are in the business of selling wines from any/everywhere, and it’s our job to convince them through market demand that our wines have a place. Regional wineries sometimes find it hard to sell wines outside of their state. How easy or difficult is it for your wineries to export their wines to other states…countries? We only have a few wineries whose markets have expanded beyond our state boundaries. We’re also bound by being a state that can’t ship to reciprocal states—like New York. How big a part do festivals and farm markets play in your state‘s wine distribution? A large role. Many of our wineries attend festivals and farmers markets. They used to go for sales. As the retailers become bigger partners, farms stands and festivals become more about marketing than revenue. What are the challenges of getting your wines covered by local press and the wine media? We find that the local press is interested when there is news. And so we have an easy time promoting MD wine when there’s an event, harvest, good growing season, etc. We’re a local crop, a local product. The wine media here and there pays attention to Maryland wine, but we haven’t made a national push yet. Our industry is still in its infancy, and we’re looking to grow our industry in a sustainable way first. Are there any fears you may have too many wineries in your state? No. We’ve not had a problem with too many wineries. There’s enough interest in local wine that our wineries are able to sell everything they make, and the more wineries we have the more successful wine trails can become. Competition is healthy for any industry—only the weak suffer from competition. Do you have any wine trails in your state? If so, how effective have they become? If not, why? We do and they are very effective. We have three wine trails with more on the way. Frederick wine trail. Patuxent wine trail. Chesapeake wine trail. Are you finding there are enough grape growers to fill the demand created by wineries in your state? Absolutely not. We’re in desperate need for new grape growers. We have some crazy programs that have been enacted to get people to grow grapes here in Maryland. So, I was at the Union Square Greenmarket yesterday and as usual, I bought a small bottle of iced cider from Eve's Cidery. Always one of my favorites. And as I continued my walk, among the crowded corridors of produce and cheeses, atc., I spied a new winery I had not yet heard of. One Woman. The woman is Claudia Purita, and it seems she learned winemaking at her father Domenico's side, in Calabria, Italy. Luckily for us it seems, she's now on Long Island. And if the saying goes, behind every man is a good woman, well, the Purita's have it in reverse. Claudia's husband Lou is her rock. Claudia and Lou planted 12 acres in the North Fork. She's the inemaker and he's the born salesman. As I neared the tent, I could hear Lou talking to customers in his big, affable voice. I tried several wines, but the wine I liked was the Chardonnay Reserve. It was light but it had a slight touch of oak and nice balance. It was very nice. 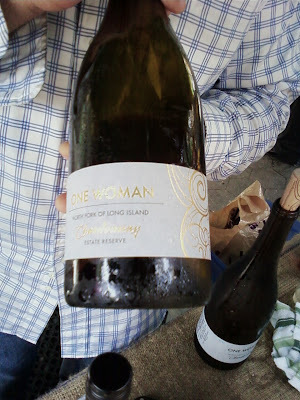 There are people who know a lot more about Long Island wine than me, but it was a pleasant surprise on a warm and sunny June day in 2009. And that was good enough. Richard Leahy is one of the most influential people in the east coast wine business. East Coast Editor for Vineyard & Winery Management and the author of Richard Leahy’s Wine Report at www.richardleahy.com/blog. He is also the organizer of Wineries Unlimited each year. He sees a lot of trends as they are happening on east coast wine. 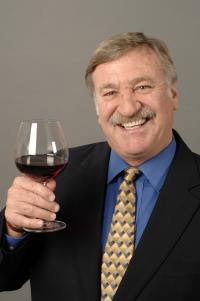 Richard is a tireless and affable and enthusiastic promoter of the east coast wineries and their constant upward surge. Quality consistency, a reliable grape supply and profitability. A higher level of quality especially in the reds, and more sophisticated red Bordeaux blends; also the rise of new varieties like petit verdot and traminette. Virginia has already established an international reputation with viognier. Advances in red wine quality should make a reputation for Virginia with regionally distinctive red Bordeaux blends based on merlot, cabernet franc and petit verdot. What’s the trend in wine in your region that has surprised you the most in the last 2-5 years? The move away from low-acid, barrel-influenced viognier. Producers are realizing that better balanced white wines in warm climates should block malolactic fermentation and avoid obvious oak. The better acidity and fresher style is a positive change and should help keep Virginia viognier competitive on the international stage. It will be interesting to see if the newly legalized custom crush channel takes off for both commercial and private customers. Do you find liquor stores and wine shops have been a good partner for your state grown wines? What have been some challenges? 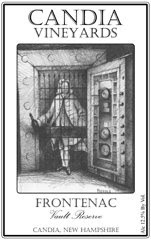 Generally private and chain grocery retailers have been supportive. The problem is how to compete in a de-personalized environment with cut-price wines from all over the world. Most Virginia wines are not competitively priced except in the ultra-premium segment but people often prefer a more recognized region like Napa or St. Emilion when paying $20 for a bottle of wine. Region wineries sometimes find it hard to sell wines outside of their state. How easy or difficult is it for your wineries to export their wines to other states…countries? We’re fortunate in Virginia in that we’re developing promising markets in the U.K. thanks to the work of the Virginia Wine Experience in London two years ago and the work of Christopher Parker with New Horizon Wines. Virginia wines resonate well with the U.K. palate. Some wineries like Horton have been distributing some wines (viognier) in select California markets, but the most profitable channel for sales outside the state is through direct-to-consumer shipping, now legal in 36 states. We have to distinguish winery-specific events from regional festivals. The smaller wineries may not want to participate in the super-large festivals where they pour a lot of tastes and make relatively few sales compared to loss of total volume. Events at the winery are important for bringing people to the tasting room and creating an experience for them that adds to the value of the wine. The Virginia wine calendar is packed with events, both for individual wineries and trails and state-wide. Newspapers are in trouble, and many wine writers have been let go; many papers aren’t even covering the wine scene anymore. Blogging is filling that vacuum. The “wine media” are no longer just the Wine Spectator and Parker’s Wine Advocate; there are hundreds of wine blogs that are democratizing the wine media. Many wineries still spend way too much time trying to get covered by either Parker or the Spectator but ignore the new wine media. Are their any media streams that you have found that are more effective than not? Not all wine blogs are created equal. Dave McIntyre who blogs but also writes the wine column for the Washington Post, and Jeff Siegel the “wine curmudgeon” now have a website called “drinklocalwine.com” which features lots of writing about local wine across the country. Are there any fears you may have too many wineries in your state? Well, existing wineries may fear that! There is not only a competition for sales but also for the grape supply. Too many growers open their own wineries and those grapes are no longer available to other wineries. Competition for the limited supply drives up prices. Generally though more wineries creates a critical mass of presence in the market and consumer awareness, which raises the tide for all boats. Do you have any wine trails in your state? If so, how effective have they become? If not, why? How do your wineries effectively market themselves in groups? Or not? If not, why not? There are a number of wine trails in Virginia with a local focus; throughout the East wine trails are great vehicles for promoting awareness of a very specific region while keeping publicity costs affordable for all members. As per my comments above, that is a concern. Some larger wineries worry about the sustainability of the industry if all growers only have a couple of acres and try to grow the most expensive grape varieties. All major wine regions (including California) rely on independent growers to supplement their top wines with commercial grade grapes which make competitively priced wines for the public; if every grower is an artisan, all wines will be priced accordingly which is bad in an economy like this. Don’t have the time or money to take a food or wine vacation this year? No worries. The East Coast Food & Wine Festival, held on June 27 & 28 at Hopewell Valley Vineyards in Pennington, New Jersey allows you to take a one day vacation on a plate/vacation in a glass! In one day, and close to home, you can sample award winning wines, enjoy dishes prepared with the season’s locally grown vegetables, fruits, seafood, chicken, meats and more dished up by some of the most exciting chefs in the State; attend seminars and cooking demos with nationally known chefs and wine experts; purchase locally made cheeses, organic produce, honey, meats, seafood, gelato, flowers and much more at the Farmer’s Market to enjoy at the festival or to take home with you; take a winery tour led by a third generation winemaker from Tuscany and much more. They have an amazing line up of restaurants this year which allows you to taste meals from some of the most exciting restaurants across the state – all in one place. Participating restaurants include Brother’s Moon, Hopewell; Catherine Lombardi, New Brunswick; High Street Grill, Mt Holly; Nomad Pizza, Hopewell; Stage Left, New Brunswick; and Tre Piani, Forrestal Village, Princeton. Food is available at a nominal fee and will include smaller sample sizes so you can sample for more than one (or all) of the restaurants; as well as a full meal size portion. Professional wineries from the State will also be offering samples of close to 100 wines grown and produced near by. 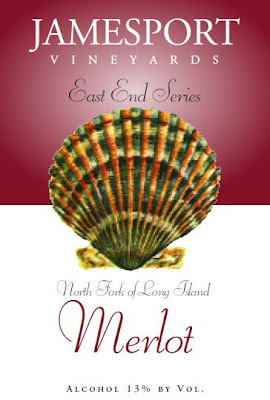 Attendees can sample wines from award-winning New Jersey wineries including host Hopewell Valley Vineyards (Pennington), Alba Vineyard (Finesville), Unionville Vineyards (Ringoes), Cape May Winery (Cape May), and Laurita Vineyards (New Egypt). One of the elements that sets The East Coast Food and Wine Festival apart from other wine and food events is the high quality cooking demos and food and wine seminars offered. This year's event has attracted an all-star list of celebrity chefs and wine experts. Topping this list is chef Michael Colameco, host of Colameco's Food Show on PBS and Food Talk on WOR radio, author of the soon-to-be-released Food Lovers Guide to New York City; and teacher of Cooking 101 at the International Culinary Center in New York City. Michael will be speaking on Saturday as well as serving as Master of Ceremonies for the Cooking Demo & Seminar Tent that day. Also on Saturday, Maureen Petrosky, wine expert on NBC's TODAY Show, wine writer for New Jersey Life and author of the Wine Club will be speaking in the Wine Seminar tent. Attendees can also purchase her book at the event and have it signed. On Sunday, George Taber, author of Judgment of Paris, will be on hand to discuss his book. George, who was a Paris-based reporter for Time magazine for many years, was the only reporter present in 1976 at the blind wine tasting that set the wine world on its heels. In this Paris-based tasting, California wines beat the French wines, putting California wines on the map and changing the wine world forever. His book is now being made into a movie. Copies of his book will also be available at the festival. Cooking demos will also be offered on both Saturday and Sunday. On Saturday, Kerry Dunnington, author of This Book Cooks and Baltimore Slow Food chapter member, will be hosting a cooking demo as well as making copies of her book available for purchase. Wegman's chefs will be doing a Catch of the Day seafood cooking demo on both days. These are just a few of the many chefs, cook book authors, wine experts, organic farmers, cheese makers, honey producers and more who will be speaking at the festival. 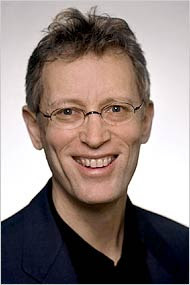 A complete list of speakers, presentation times and bios can be found on http://cts.vresp.com/c/?HopewellValleyVineya/a1ccda97f4/35796386cf/e4e1413bab. The East Coast Food & Wine Festival will be held June 27 & 28 from Noon to 5:00 p.m. at Hopewell Valley Vineyards in Pennington, NJ. More information on this fun and informative weekend can be found at http://cts.vresp.com/c/?HopewellValleyVineya/a1ccda97f4/35796386cf/e7dc35933e. Here you can purchase advance discount tickets (tickets are also sold at the door), find information on lodging, participating wineries and restaurants, seminar schedules and more. You can also call the Festival hotline at 609-890-7103 for more information. Ticket price covers parking, entrance into the festival, entrance into all of the cooking demos, wine presentations and winery tours, all the wine sampling, and an etched wine glass to take home with you. You won't want to miss this one day vacation on a plate/vacation in a glass. THE history of grape growing and winemaking out here on the North Fork of Long Island reaches back just a few decades, a mere sliver of a moment in viticultural time. 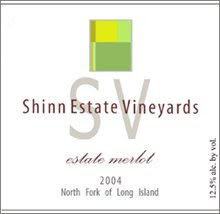 Even so, Shinn Estate Vineyards is a newcomer. Its first vines were planted here in 2000 on the old Tuthill Farm, less than a mile from the Long Island Sound. The first wines came with the 2002 vintage. Neither Barbara Shinn nor David Page, the proprietors of Shinn, had ever grown grapes or made wine before, but their wines, made with the help of several North Fork winemakers, were good right away. With their 2002 merlot, which I first tasted in 2005, I was hooked. The 2003 was even better, and the 2005 better yet, balanced with an aroma of violets and an earthy flavor of plums and minerals. These were not profound wines meant to tax the analytic vocabulary and the bank account. They were simply delicious, the sort of wines I’d be delighted to open for dinner at any time. Jim Trezine is bigger than life. A well-dressed gentleman, a man who can talk to farmers and winemakers as well as with Senators and Governors and state legislators. 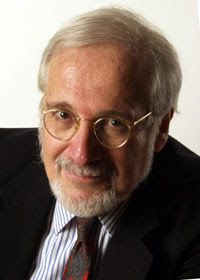 He is the Director of the New York State Wine and Grape Foundation. He is constantly spreading the "good news" about New York state wines. He is both tireless and ubiquitous. A great ambassador for our state. This is a first in a series of interviews with regional directors about wine on the east coast and about local wines in their regions. What is the biggest challenge facing wine in your state today? The economy, which drove a big excise tax increase and threatened the New York Wine & Grape Foundation’s funding base, and has thrown our normally dysfunctional state government into outright chaos. In addition, the distribution system is still a major hindrance to the vast majority of New York wineries, which are very small producers. What is the difference between wine in your region from ten years ago to today? A huge increase in the number of wineries (about double), and the creation of wineries in places never envisioned, like the Thousand Islands, the Champlain Valley, Brooklyn, Queens and New York City. In addition, there is much broader recognition of New York wines for quality both nationally and internationally. Where do you think wine in your region will be 10 years from now? Bigger and better. Absent a total economic meltdown, I see continuing growth in the number of wineries, and continuous improvement in quality due to all the research we sponsor at Cornell in viticulture and enology. What’s the trend in wine in your region that has surprised you the most in the last 2-5 years? The strategic intelligence with which most new winery owners are approaching the venture. There’s lots of information out there—about growing grapes, making wine, laws and regulations—and most are taking good advantage of it. For example, the folks in the bitter cold (winter) Thousand Islands and Champlain regions are planting “Minnesota” varieties, and making really good wines from them. Is there a new trend you expect to see in the next 2-3 years? I think the “local” trend will expand and accelerate, which is very good news from New York’s small wineries, but it’s their job to help make this happen. Do you find liquor stores and wine shops have been a good partner for your state grown wines? What have been some challenges? The New York Wine & Grape Foundation has had some very successful “New York Wine Month” promotions involving liquor stores, and there are several who do a consistently good job on their own all the time. However, there are also many who do not carry New York wines, and don’t know much about wine at all, from anywhere. Regional wineries sometimes find it hard to sell wines outside of their state. How easy or difficult is it for your wineries to export their wines to other states…countries? It’s as difficult as for wineries in other states, which means very much so; and few small wineries have the staff, time, or resources to do all that is required for selling their wines at half of retail. That in part explains why the vast majority of New York wines are sold locally. How big a part do festivals and farm markets play in your state‘s wine distribution? They are both very important because both involved direct sales to consumers, which has many benefits. First, it’s the most profitable sale, involving no middlemen. Second, direct sales connect the consumer with the winery through people-to-people contact. Third, direct sales help establish brand identity and loyalty so when people return home they’ll ask their local retailer or restaurant for the wines. Our program in New York City’s Greenmarkets has been a phenomenal success, and by the far the best way to penetrate that super-tough market. What are the challenges of getting your wines covered by local press and the wine media? There’s no problem at all with the local press, which in many instances has fed off the popularity of the wine industry to start their own wine web pages or blogs. The national wine media have been more resistant, partly because few New York wines are in national distribution, but that is coming along. Are their any media streams that you have found that are more effective than not? Local and regional media are very important because they help to generate tourism to the regions, which is vital for the industry. The social media are becoming increasingly important, but there’s still a lot of uncertainty on where they will go. Are there any fears you may have too many wineries in your state? No. We now have 260, and we could easily support 500 (which could occur within a decade). New York is a big state, and with new wine regions like the Thousand Islands, there’s still a lot of room and opportunity for the synergy that numbers provide. Even in the more crowded wine regions, there’s still room. Do you have any wine trails in your state? If so, how effective have they become? If not, why? How do your wineries effectively market themselves in groups? Or not? If not, why not? We now have a dozen wine trails from border to border, and they are one of the most effective marketing tools our industry has. The first (Cayuga) started about 25 years ago, and our organization encouraged the creation of others through matching funds for their brochures, events, and other activities. One winery is a local curiosity; a wine trail is a destination. From 1985, when our organization was created, tourist visits to wineries have increased more than 12-fold from 340,000 to over 4,100,000, and much of this is due to wine trails. Are you finding there are enough grape growers to fill the demand created by wineries in your state? Yes, plenty. In fact this year we are trying to market New York grapes to wineries in other states. The other night Dominique and I attended the 2009 Hudson Valley wine awards. 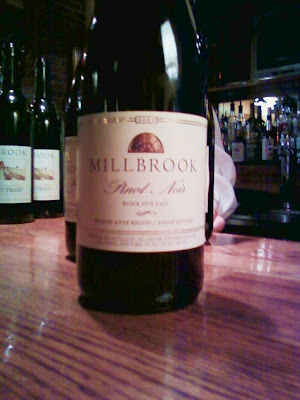 Millbrook won the Cornell Cup for the "Best Wine in the Hudson Valley" for their 2007 Block Five East. 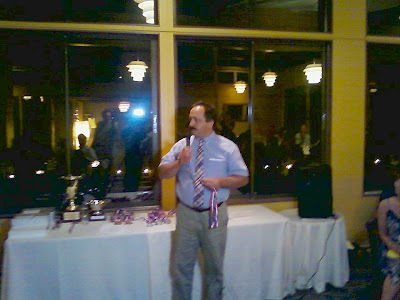 John Graziano and David H. Bova were both in attendance for the best wine presentation and acceptance of the trophy. All the hoopla aside, the wine was wonderful. It was a nice deep ruby color. It had lots of cherry, some dark fruit, and a lovely rounded mouthfeel. 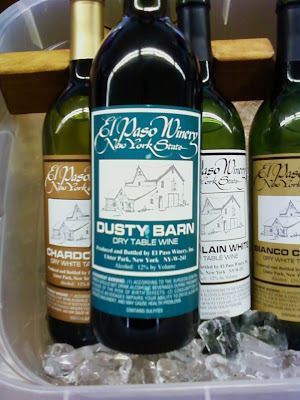 Dry and delicious, this wine is a tremendous wine - something the Hudson Valley should be proud of!!! Congrats to Millbrook Vineyards and to John and David - a well deserved award! 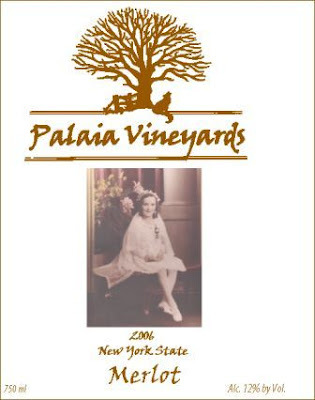 Most recently I had the Palaia Vineyards Merlot, at the Hudson Valley Wine and Grape Association Aawards dinner for 2009. It was fabulous! Palaia is a small, micro-producer in the valley, and they've been getting lots of good ink lately. And it's much deserved. It was a light-to-medium bodied, soft claret red, with lovely fruit up front, and soft mouthfeel, with a dry finish. It really was lovely. The sun was setting and the light was gorgeous, as we looked at the Catskills with the sun settling in behind the mountain range. And the Palaia went down nice and easy...I just kept on sipping. Owning a winery “absolutely is” a dream job, said Robert Dabrowski of Candia Vineyards, 702 High St. in Candia. “For me, it’s everything. It’s the wine-making and the growing and the agriculture. All of that,” Dabrowski said. He made his first wine in 1981. There was no Internet back then. He educated himself with library books. Candia Vineyards is part of a 1760s farm property. Dabrowski, a Manchester native, started planting in 1999. It has “taken hard work and experimentation,” he said. He did test plantings in 1997 and 1998. The vines are started with 10-inch cuttings and take five years to get into full production — “That’s assuming that you don’t rip the vine out to begin with because you change your mind and want to try another variety,” which he did, Dabrowski said. Now he has 600 vines in full production. “I brought a lot of new varieties to the state that had been developed out west but didn’t exist here,” Dabrowski said. He’s mainly a “one-man show,” although he gets help with some tasks. “I was a financial analyst for many years ... as that industry deteriorated, I was continuing to build my vineyard,” Dabrowski said. He started selling wines in 2005. Dabrowski said his previous career is a “huge asset in wine-making, ironically.” As an analyst, all you should be doing is planning. Wine involves a lot of planning, foresight and making decisions that will affect the wine months down the road. People think he must have gone to UNH to study agriculture, but he has not, which is true of many winemakers, he said. How do you become a winemaker in a poor economy? “Don’t give up your dream, but don’t give up your day job either,” Dabrowski said. It’s very capital-intensive and a very competitive industry. For most people, it takes hard work, perseverance, and a lot of experimentation. Dabrowski said he has a slight advantage since he’s been enjoying wine since college — he would drink a glass of wine while friends were at the keg. He also knows wine — he’s been asked to judge a few competitions. There’s an agricultural aspect to winemaking, but the business component is also important — “Business is business,” Dabrowski said. Dabrowski doesn’t sell outside the state — in part because there are different legal requirements for each state, and as a small producer he sells everything in state anyway. Family, loyal customers and supporters —in particular Jeff Raymond of Amherst — are important to Candia Vineyards’ success, Dabrowski wrote later in an e-mail. If you want to visit Candia Vineyards, just call ahead, 867-9751. West Virginia Wineries Shine at Tamarack! It was truly a taste of West Virginia when Watts Roost Vineyard of Lewisburg brought samples of its wines to Tamarack last month for visitors to taste. 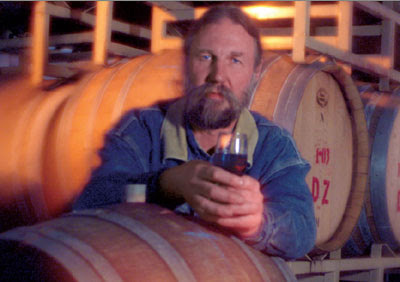 Watts Roost has won state, national and international recognition for its wines. Its 2006 Landot Noir won the Gold Medal at the 2008 Florida State Fair International Wine and Juice Competition, while the silver medal went to the Greenbrier Red and 2006 Vidal Blanc took the bronze medal. In the West Virginia Commercial Wine Competition, the 2006 Calico White won both Best of Show and first place among semi-sweet white wines, while the Greenbrier White placed second in the dry white genre. Tamarack is now hosting wine tastings offered by West Virginia vineyards, according to events director Chris McLaughlin. “We’ve been doing food tasting here for quite some time,” he said. “We’ve always had an interest in doing wine tastings. "The wines Eric Fry makes at Lenz, in Peconic, can be as subtle as he is exuberant; they generally need cellaring and about two hours’ decanting before drinking. Customers who knock them back waste their money, and Mr. Fry’s technical skills and aesthetic sense," writes Howard G. Goldberg in the June 4, 2009 New York Times about Lenz winemaker Eric Fry. Friday June 19 – Sustainable feast in the Fields of Chester County. Featuring Talula’s Table, local foods, and Va La wines. Val La willa lso be releasing Patina 2006 and Castana 2006. This wine was inspired by the medium bodied reds of the hills of the Pietmontese border region that our family hails from; barbera, nebbiolo, and corvine veronese are featured. This is a small production red made from a blend from malvasia nero, lagrein, charbono, primitvo, sagrantino, and teroldego. One barrel is normally produced. In the mood for a little relaxation and a lot of Baltimore charm? Then come out to the 7th annual ‘Great Grapes!’ Wine, Art and Food festival June 13 & 14 from 12 to 6pm. Bring your family and friends and pack up the kiddies (they get in free) for Charm City’s only Maryland wine festival at Oregon Ridge Park in Cockeysville in Baltimore County. Sample a variety of Maryland’s delicious wines from 20 different wineries, indulge yourself with great food, and jam out to live music from your favorite local bands. For less than the price of going to a movie on a date night, and a free 6-month subscription to Baltimore Magazine with each ticket purchase, you get a taste of Maryland’s finest wines, food, and fun! 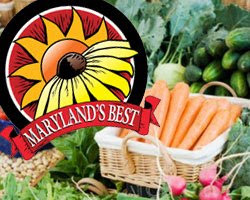 As summer approaches, local residents begin to look for the fresh tomatoes and sweet strawberries that Maryland farms are famous for. Not sure what to pair with local produce? You're in luck! This summer, Maryland wineries are headed to select Farmers' Markets throughout the state. Support your local farms and vineyards at a Farmers' Market near you! 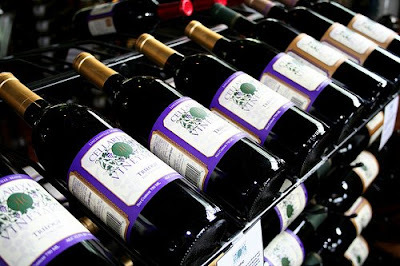 Here's a list of the famr markets where you can find LOCAL Maryland wines! Definitely discover the food and wine world at large, but we encourage you to think global, LEARN LOCAL! Join Jake Perdie, Manager of local Long Island winery Jamesport Vineyards, as he pours their selection and discusses what makes Long Island most suitable for their styles of wine. 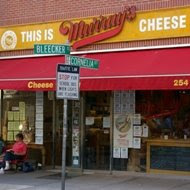 Meanwhile, Taylor Cocalis, Murray's Education Director, will discuss how the techniques and terrain of the northeast shape our local cheese portfolio. 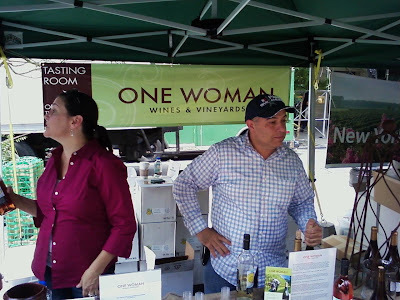 NYC Greenmarket Stands Bring Home the Green and Introducing NY State Wines to the City! GREENMARKET WINESTAND has been a phenomenal success in penetrating the fiercely competitive New York City wine market, thanks to the great work of our colleagues at Wine & Food Associates. With an initial push from the Department of Agriculture & Markets, the green-tented Pride of New York Winestand appears on Fridays at the bustling Union Square Greenmarket—with up to 30,000 shoppers per day—featuring a winery owner in one tent with an adjacent tent staffed by a local chef offering compatible finger food made with Greenmarket ingredients. The direct-to-consumer connection is magic, with every participating winery reporting unexpectedly strong sales--$1,500 to $2,000 per day—and several now selling at other Greenmarkets on a regular basis. After the initial trial period, we (NYWGF) took over the funding of the venture, which soon expanded to Brooklyn and many other locations. In addition, the Winestand has spawned dozens of spinoff opportunities to showcase New York wines at events featuring the exact audiences we want to reach—people who appreciate high-quality wines produced locally. Since the beginning, the program has been run by Rory Callahan and his colleagues at Wine & Food Associates, who have done an extraordinary job. TRIPLE CROWN x 3 was New York’s victory at the recent International Eastern Wine Competition sponsored by Vineyard & Winery Management Magazine, with over 1,800 entries from 36 states, 3 Canadian provinces as well as Australia, Chile, France, Germany, Italy, New Zealand, and Spain. New York wines captured three of five “Best of Category” awards—Best White (Fox Run 2006 Tierce, a Dry Riesling), Best Sparkling (Goose Watch Pinot Noir Rosé), and Best Fruit Wine (Flickerwood Wine Cellars, a Pennsylvania winery whose 2006 Flickerberry Dew used New York fruit and is therefore a New York wine). In addition, the Tierce won its own triple crown of Best of Class, Best White Wine, and Riesling Champion. That’s fitting, because Tierce is actually a collaboration among three winemakers—Peter Bell of Fox Run, Johannes Reinhardt of Anthony Road, and Dave Whiting of Red Newt—who blended their respective wines to come up with the final product. Seems like things are happening in threes, unless it’s the eight other Double Golds, 11 Golds, 86 Silvers and 116 Bronze awards for New York wines. The additional Double Golds went to Cascata Winery 2007 Riesling, Dr. Frank 2007 Semi-Dry Riesling, Goose Watch Rosé of Isabella, Hunt Country 2008 Valvin Muscat, Peconic Bay 2006 Riesling, Penguin Bay 2008 Riesling, Pindar 2007 Riesling, and Swedish Hill 2008 Vidal Blanc. Gold medals adorned Casa Larga 2006 Fiori Vidal Ice Wine, Hazlitt 1852 Vineyards White Stag, Hosmer 2007 Chardonnay, Johnson Estate 2006 Merlot, Knapp Superstition Concord, Lakewood 2007 Gewurztraminer, Montezuma Semi-Sweet Mead, Pugliese 2007 Riesling, Sheldrake Point 2007 Barrel Reserve Chardonnay, Swedish Hill Naturel, and Thorpe Vineyard Fialka. It’s interesting, and great, that three of the Gold Rieslings were from Long Island— Peconic Bay , Pindar, and Pugliese—who are giving Finger Lakes producers a run for their money. Congratulations to all, and thanks again to Vineyard & Winery Management which has done so much for our industry over so many years. Complete results are available at www.vwm-online.com. At another competition, the Critics Challenge Awards, Waters Crest 2006 Cabernet Franc took a Platinum Medal. This small winery is Rhode Island's newest. 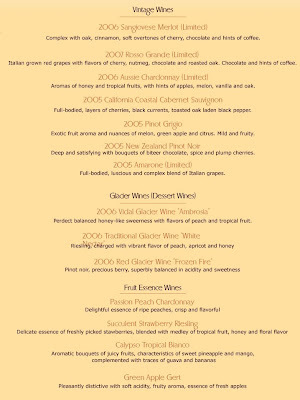 Product line features vintage wines, glacier wines and fruit wines. But you can't go there....they don't have a tasting room. They haven't won an award...none that they boast of. They source their grapes and fruits from around the world. But the wine itself is made right there is Rhode Island. But, their wines are carried by more than 50 local restaurants and wine shops in Rhode Island! And they are now available for distribution in Massachusetts! That's remarkable coverage for a small winery no one's ever heard of! They do not have a tasting room so you'll need to go to their website and find a store or restaurant near you. 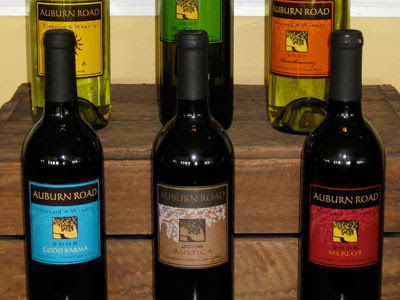 Auburn Road Vineyard and Winery - A Small Winery Arrives In the Garden State! 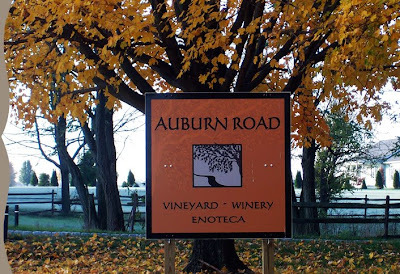 Auburn Road was opened by six partners, three women and three men, all of whom had previously worked in the financial industry before starting the vineyard. They've been making wine for a while, but just opened their doors in 2008. Tucked away in Salem, New Jersey, they are quickly turning heads. At the most recent New Jersey wine comeptition, they won eight awards. That's aough to turn anyone's head. A lot of people are going to be saying, "Who?" IN the next few months, but the name Auburn Road will be on the tip of everyone's tongues if they keep this up in the next few years. And how does the wine taste...their's a reason they won all that hardware! They opened their doors in 2008 with six varieties of wine. The winery is located in Pilesgrove Township. Pilesgrove Township in Salem County is nestled in a beautiful country setting offering spectacular views of farmland and untouched countryside. The community was named for settler Thomas Pile. It's just a short drive across the Walt Whitman or Commodore Barry Bridges from Philadelphia or just over the Delaware Memorial Bridge into rural Salem County. The partners recieved much help from the viticulture team at Rutgers University in New Jersey. The partners all learned the various intricasies of planting and maintenance from the expert university team. Merlot was one of their big plantings. The partners were taught how to thin the vines, and what the balance of of aeration vs. enough leaves to make the plant function. If wine is made in the vineyard, and it is, then you know the folks at Rutgers taught these people in Salem County, in southern New Jersey, well. Classico is their version of a Garden State “Super Tuscan.” It is a blend of Sangiovese, Merlot, Cabernet Sauvignon and Chambourcin. Classico is a deep, rich, full bodied red. This is a very nice, big, full-bodied wine. A very elegant wine. This is the wine they truly wanted to make when they set out to open Auburn Road 5 years ago. Winner of a GOLD Medal in the 2009 New Jersey Wine Competition and a SILVER Medal in the Finger Lakes International Wine Competition! A nice, big , dry merlot. Silver Medal winner at the 2009 New Jersey Wine Competition. Good Karma is a light dry red blend of Sangiovese and Merlot. The cherry comes through as promised. It's a nice anywhere red. As comfortable with pork and chicken as it might be with grilled fish. Even nice cold? (Although not my total cup of tea - but others swear by it).According to the website, "Good Karma has been at the center of every Auburn Road Thanksgiving dinner since 2005 – it is perfect with turkey, stuffing and cranberry sauce, especially if there is a little sweetness in the meal...Good Karma may have a funky name but it has become a true expression of how we got here and gave us our motto – 'Everything Matters'." You gotta try these wines!